Cox Heating & Air Conditioning is a full service West Florida HVAC company, providing heating and cooling repair services to the greater Pinellas County area since 1958. We offer HVAC services to commercial and residential clients. We also work with builders on new construction projects. We are a Carrier factory authorized dealer. However, we provide repair and maintenance services for all brands of HVAC equipment. Our NATE certified HVAC technicians are prepared and ready to address any HVAC need. Cox Heating & Air Conditioning is one of the top HVAC companies in the greater Pinellas County area because of our responsive and reasonably priced repair services. We repair all models and brands of residential and commercial heating and air conditioning equipment. Our NATE certified HVAC technicians are highly skilled and trained. Our technicians will quickly diagnose any issue and provide you with a written estimate for the repair. When you live and work in the West Florida climate, air conditioning is an important comfort that most residents are not willing to forgo. Cox provides emergency repair services to residential and commercial clients, 24 hours per day, seven days per week. Cox Heating & Air Conditioning offers maintenance service agreements for residential and commercial customers in Pinellas County FL. Our HVAC experts recommend having your HVAC system professionally tuned and cleaned at least once per year. Your furnace should be tuned prior to the winter months, and your AC unit should be tuned in the spring. The Cox Maintenance Service Plan provides residential customers with a scheduled maintenance plan to ensure that their system is tuned at least once per year. Each Cox Maintenance Service Plan includes a 10 percent discount on all parts and priority scheduling for service. 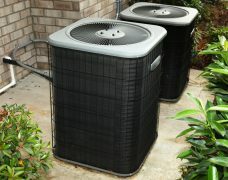 The Cox experts recommend replacing your current air conditioning system if the unit is more than eight years old. 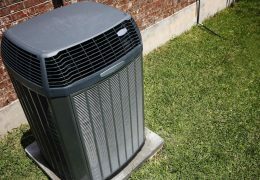 Older A/C units are less energy efficient than the models that are available today. When you are ready to replace your old HVAC equipment, Cox is here to provide you with the information you need to choose an energy efficient unit. When to Buy a New Air Conditioner? 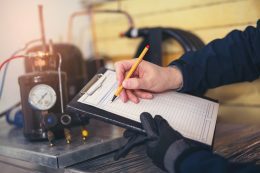 Why Should You Hire A Professional for HVAC Maintenance?